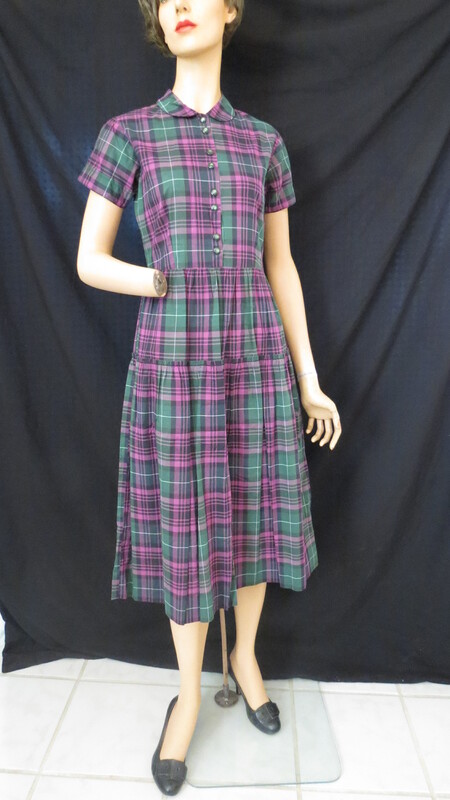 An unusual dark plaid, but a shirtwaist style and definitely for warmish weather. Notice the second layer of skirt, with a little ruffle at the top. I wonder if the fabric she used was sold from a narrow bolt, so she had to piece the skirt for that reason??? It’s so much fun to try and unravel the mysteries that older garments, especially, can pose. Unlike dresses made later, that usually buttoned lower down to make them easy to get into, these earlier ones often button only to the waist. That’s why those side zippers were so necessary. It also allowed the waist to be kept really tiny, rather than gathered in by the belt – just barely large enough to get shoulders through, with the help of that zipper opening. Ahh, fashion . . . . . . .
Posted on October 11, 2017 by Morgana Martin, the magicvintagespy. 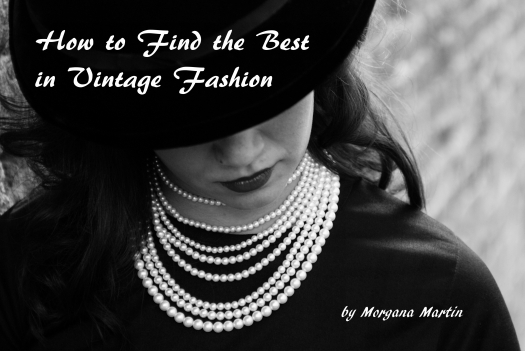 This entry was posted in blogger, clothing, dress, fashion, find, frock, handmade, home-sewn, ladies, shirtwaist, summer, true vintage, vintage, vintage blogger, vintage clothing, women's and tagged '40's, '50's, '50s, 1940's, 1940s, 1950's, 1950s, 40's, blogger, clothing, custom tailored, custom-tailored, dress, fashion, fifties, Fifties, find, forties, Forties, frock, handmade, home-sewn, ladies, shirtwaist, Spring, spring, summer, true vintage, vintage, vintage blogger, vintage clothing, women's. Bookmark the permalink.